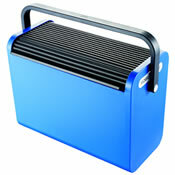 See our range of filing and sorting options. This range has been designed so you can stay organised in today`s working environment. With mobile file boxes and hot desking boxes see how these could help. We can also offer filing cabinets and cupboards to hide away and file away your paperwork and equipment. All coordinating with our office furniture and accessories to create a streamlined office space.